Robert Lewis was born in 1947 in Houston, Texas. He enlisted in the U.S. Army on December 12, 1966, and completed basic training at Fort Polk, Louisiana, in February 1967. 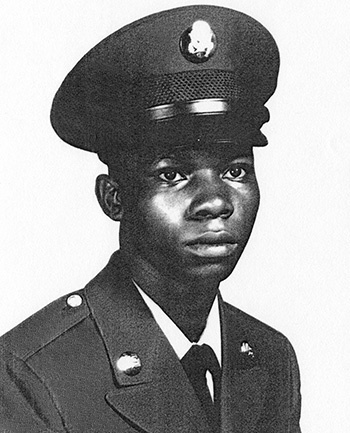 Pvt Lewis next attended advanced individual training as a helicopter mechanic at Fort Eustis, Virginia, from February to July 1967, followed by service as a UH-1 Iroquois helicopter mechanic with the 71st Aviation Company, 145th Aviation Battalion, 12th Aviation Group of the 1st Aviation Brigade in South Vietnam from July 1967 until he was captured and taken as a Prisoner of War on January 5, 1968. After spending 1,887 days in captivity, SP6 Lewis was released during Operation Homecoming on March 5, 1973. He was briefly hospitalized to recover from his injuries, and then attended UH-1 crew chief training at Fort Eustis from October 1973 to May 1974, followed by service as a UH-1 crew chief and senior enlisted advisor with U.S. Army Reserve Region VII in Houston, Texas, from May 1974 to October 1977. His next assignment was as senior UH-1 repairman with Troop D, 1st Squadron of the 9th Cavalry Regiment at Fort Hood, Texas, from October 1977 to January 1979, and then as Platoon Sergeant with Troop D, 4th Squadron of the 7th Cavalry Regiment in South Korea from February to November 1979. SFC Lewis served as assistant inspector and then as maintenance supervisor with Headquarters 5th Army at Fort Sam Houston from December 1979 to August 1982, followed by service as aircraft maintenance senior sergeant and then Platoon Sergeant with Company B, 501st Aviation Battalion in West Germany from September 1982 to September 1984. His next assignment was as Operations NCO with the U.S. Army Garrison at Fort Sam Houston from October 1984 to November 1985, and then as Aircraft Maintenance Sergeant with Headquarters 5th Army at Fort Sam Houston from November 1985 until his retirement from the Army on February 1, 1990. 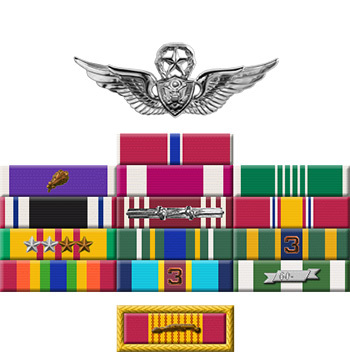 Specialist Six Robert Lewis, III distinguished himself by exceptionally meritorious service to the United States of America while detained as a Prisoner of War in Southeast Asia during the period 5 January 1968 to 5 March 1973. His ceaseless efforts, by a continuous showing of resistance to an enemy who ignored all international agreements on treatment of prisoners of war, in the extremely adverse conditions of the communist prisons of Southeast Asia demonstrated his professional competence, unwavering devotion and loyalty to his country. Despite the harsh treatment through his long years of incarceration, this American continued to perform his duties in a clearly exceptional manner which reflected great credit upon himself and the United States Army.